Dates and times: history is full of them. Some traverse the ages, others drift into obscurity. How people will document this year’s bonfire night from a rugby perspective is likely to be nothing more than a footnote on a rewritten Wikipedia page. “He left Union and returned to League on the 5th November 2015.” A fizzle, not a bang. 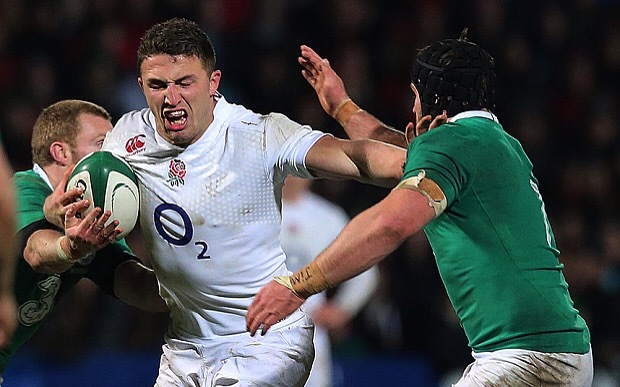 Sam Burgess, a man with a now equally famous and infamous rugby career. Two codes; only one cracked. Slammin’ becomes slinkin’; he returns to the fold, and Russell crows. How does one begin to reason this one? To people who have fallen in love with our game over the last two months, how do you put forward an explanation as to what happened with Sam Burgess? How has this not worked? How have the key people got this one so desperately wrong? The sport of rugby in England genuinely needs answers to these questions. We seem to have had very little in terms of honest, open discussion these last few months and this is the latest in a line of confusing and mishandled episodes. It sounds bombastic, but someone needs to take responsibility for this. Too many disappointing situations of late have not had people held accountable. It’s not as though the template wasn’t already in place. Last year, Sam Burgess was playing Rugby League against Sonny Bill Williams. A man who has done the dance. The New Zealander has transferred his skill set from League to Union very effectively and continues to be able to flip flop between the two. How noticeable the gap now between the two players who lit up the NRL together in 2014. Burgess’ divisive retreat plays out against a social media montage of Williams winning hearts and minds with generosity and graveside vigils. A stark contrast. And you have to feel for Bath coach Mike Ford. His season has not started well. Having endured an unconvincing win over Exeter and then two defeats (the most recent emphatic) against Wasps and Quins, he is in dire need of some good news. With Jonathan Joseph ruled out with injury until 2016 and the Taulupe Faletau deal having so publicly stalled, off the pitch antics hardly needed any more help. Cue a desperate and ultimately fruitless attempt to try and get Burgess to stay at the Rec. It now seems foolhardy, but I believe Ford was trying his utmost to keep his feted league convert and not create a smokescreen. How Bath and Ford recover from this will be more impressive than last season’s try scoring antics. It is, in truth, the end of a very sad and seemingly doomed affair. One that everyone could have done without. But there we are. A bonfire urinated on, fireworks that failed to launch and someone else ate all our marshmallows. Remember, remember, the sodding 5th of November. This entry was posted in rugby, Sport and tagged bath rugby, england, mike ford, rfu, rwc 2015, RWC'15, Sam Burgess. Bookmark the permalink. Is one year enough? Burgess was a big fish in rugby league and became a relatively small fish in union. Becoming a big fish takes time. Its a pity he has decided to leave as I do think he would have made the grade, if he gave it more time. Maybe the big splash made by his inclusion in the WC squad was ultimately his undoing.